Jasmine tea has been around for centuries, dating back to the Sung Dynasty. It is recognized as one of the most delicious varieties of flavored tea and is used to scent and flavor every type of tea - black, oolong, green and white. To make this delightful blend, tea artisans of the past plucked jasmine blossoms just as they were beginning to open. The petals were stored in a cool place until nightfall, when the blossoms began to release their fragrance. They were then added to dry green tea leaves,to absorb the fragrance. Ordinary grades of tea were scented two or three times; the special grades even more. Today, most jasmine varieties are still made with green tea, though the process is no longer carried out by hand. Most believe that the Fujian region of China produces the best jasmine flavored tea because this area of China produces the largest and most heavily scented jasmine blossoms and the loosest green tea leaves. The looser the tea leaves, the better they absorb the jasmine fragrance. The first plucking of green tea will produce the best tasting tea because the leaves are the most tender. While the majority is green tea, there are also quite a few white and oolong jasmine teas. White tea, in particular, lends itself quite well to being combined with jasmine because both offer a sweet and subtle flavor and fragrance. Oolong jasmine flavored teas are smooth with the fruity taste that is common in oolongs. Yet, the jasmine also makes the tea fragrant and sweet. You'll find oolong to have one of the most distinctive flavors of any jasmine blend. Black jasmine tea has a stronger flavor than other varieties of tea, and the jasmine flavor is less noticeable when it is combined with black tea. Still many black tea lovers who favor lightly flavored teas find this blend very appealing. Regardless of the variety of tea you choose, you should make the time and effort to brew the tea correctly to ensure the best flavor. 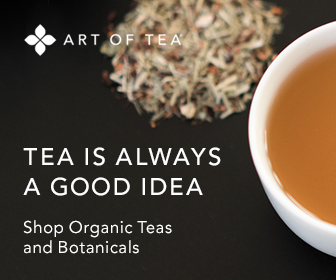 First, begin with the best loose tea. The best way to ensure that you get good tea is to purchase it from a reputable tea shop or quality online tea store. Really good tea may cost a bit more, but its quality is unmistakable. Brewing good tea requires fresh cold water. Put the water in a clean tea kettle and bring it to a boil on the stove. Meanwhile, put hot tap water in your teapot to warm it up while the water is heating. Once the water boils, remove the tap water from your pot and add your tea leaves. For white jasmine flavored tea, use about 2 teaspoons of loose tea per cup. For other jasmine blends, you'll only need about 1 teaspoon per cup. Follow these guidelines for appropriate water temperature and steeping times for jasmine tea varieties. Adhering to the appropriate water temperature and steeping time is critical for making good tea. Too much steeping and your tea will be bitter; too little and the tea will be thin and weak. Water that is too hot for delicate teas like green and white will compromise the tea's light flavor. Jasmine tea, particularly, green and white varieties, are also wonderful for iced tea. The jasmine fragrance and light sweetness are perfect for a hot day. To make iced tea, brew several servings of tea at once and cool. For white and green teas, allow the tea to cool completely before you add ice. Adding ice to the hot tea may dilute the delicate flavor too much, making it taste weak and flavorless. This article was written by Marcus Stout, president of Golden Moon Tea Company. For more information, visit goldenmoontea.com.